Place the Alarm Transmitter next to any alarm detector: smoke, fire, OH2 Carbon, security, etc. in your home. Once the alarm sounds the transmitter will send a signal to the Alarm Monitor which will alert you by strobe and loud alarm. This kit includes one transmitter which will monitor one alarm. 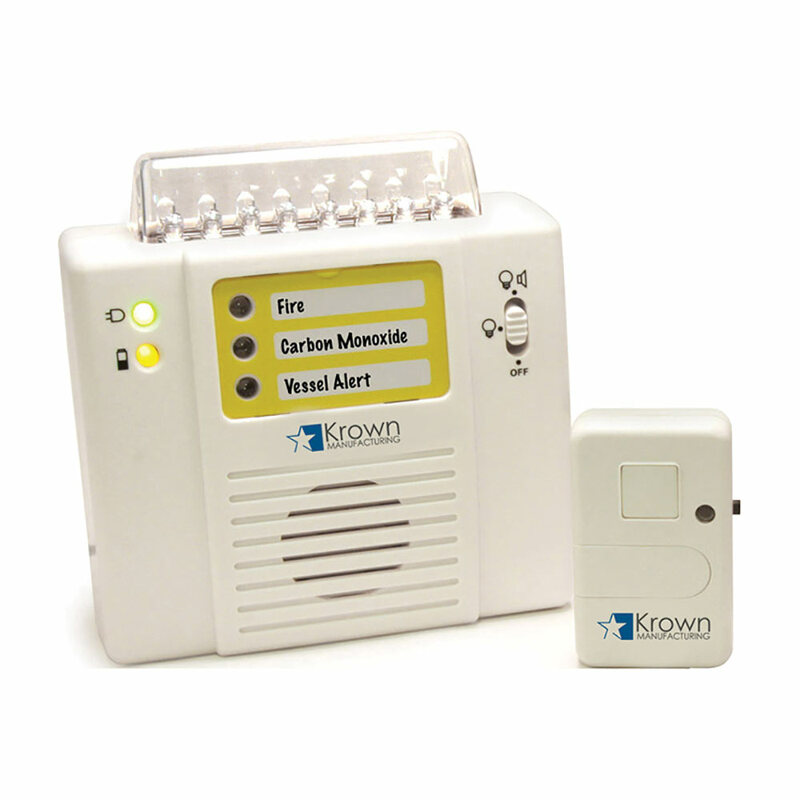 For maximum safety, the Alert Receiver works with both AC and battery backup. In AC adapter mode, Alert Receiver triggers the alarm with the 177 mCd strobe light, loud siren and ultra-light 1,000 mCd LEDs. If the AC power failed, the unit will go to battery backup mode. The ultra-light LED and the 95 dB will be activated. The strobe light will not work in battery backup mode.